KARACHI: Police on Wednesday released three suspects in Sea View murder case, as they ‘do not have evidence’ to try them in the murder case, according to media reports. However, two remaining suspects Khawar Burney and Abur Rehman are on judicial remand. The road rage incident which took place near Karachi’s Sea View Beach on December 3 led to the death of a teenager, Zafir Khan and severely injured another. Authorities arrested the main suspect behind the shooting later that day and have so far confiscated a couple of vehicles believed to be connected to the episode. At the last hearing on December 6, the investigation officer had informed the court that the prime accused, Burney, had 11 accomplices, including a woman. 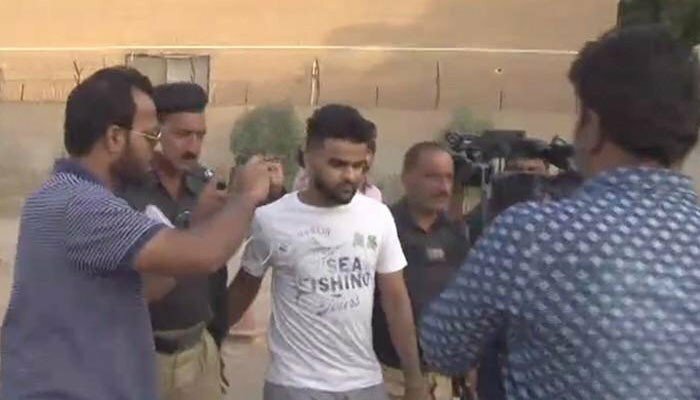 The absconders include Haider Hussain, Hassan Hussain, Hasnain and others, he had said, requesting the court to grant a 10-day extension in the remand of the accused. However, the court had only granted a three-day extension of the remand. Eyewitnesses said four people were on their way on Sunday, Dec 3, in a car from Do Darya in DHA’s Phase 8 when they reportedly hit a sports bike from behind and sped away. A few moments later, their car was chased down, stopped by a double-cabin vehicle, escorting the injured biker, and was fired upon by people from inside. Police said that after allegedly firing the car at least nine times, the men in the vehicle climbed out of and beat up the passengers. Police immediately launched a search for the vehicle and assailants, while a forensic team collected evidence from the site, according to officials. Later, Senior Superintendent of Police (SSP) for South informed that four suspects had been arrested from Khalid bin Waleed Road while the pick-up was also seized. Police claimed that they have confiscated the weapon and car used in the incident. The prosecutor has requested the court to include terrorism charges against the suspect. Meanwhile, in a recently-surfaced CCTV video, it is seen that the prime suspect Khawar along with his accomplices in two other cars was speeding away after the murder. Police said that the suspect hid at his Allama Iqbal Road residence. Authorities also recovered weapons from the detainees and filed a case in this regard. Chief Minister Sindh Murad Ali Shah took notice of the incident and also sought a report from the additional inspector general of police.